After an impressive performance in Round 13 against the Brisbane Broncos, the Vodafone Warriors made the journey to Newcastle to play Newcastle Knights. The Warriors were expected to continue in the same form they displayed last round but with some early errors made in the first half the Knights were keeping themselves in the game and by halftime were only behind the Warriors 22-14. The second half started and David Fusitu’a arrived with three tries back to back and the Warriors put their foot down and ran away with a 50-14 victory. Well, what can I say about this result? The Warriors were always expected to come away with a large victory over what has been a woeful Knights team but I think what impressed me more was the defense. In the first 40, the Warriors made some errors and silly penalties in their own territory but kept the Knights from scoring. The line speed was impressive for the second week in a row; the team shifted sideways as a unit and did not leave gaps for the Knights to target and by the time the second half had started the Knights were completely out of options and to the Warriors credit, they did not let the pressure off and continued to score. Was it a perfect performance? No, definitely not. The NZ based side still continue to have handling errors in their game and if they don’t eliminate those they could find themselves in trouble against the top four sides in the NRL. The missed tackles and penalties have reduced dramatically and I think this is an ongoing sign of the attitude change this team has had. Attitude makes a huge difference and if the Warriors keep this attitude on board, I feel that the playoff-bound clubs will be watching over their shoulders as a confident Warriors team is a dangerous team. My player of the day goes unsurprisingly to David Fusitu’a. After scoring two tries against the Broncos last week, David turned it up a notch and bagged four tries in this match. With Manu Vatuvei nearing retirement age for a League player David is putting his hand up to take the Beast’s try-scoring heroics over. He is fast, strong and his ability to score in the corner continues to amaze me, unfortunately, injuries have plagued his short career so far but if he can keep healthy he will be a key contributor to the Warriors for years to come. And for the second week in the round I could not pick a player that needs to improve. I have watched this game countless times now and I find it hard to nitpick a player that let the team down simply because right now this team is playing for each other and I'm hoping this is a trait that is going to stick around. 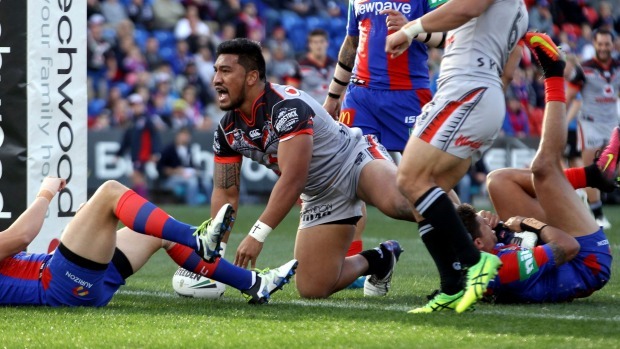 Round 15 sees the Warriors return to Mount Smart Stadium and play the Sydney Roosters. The Roosters have been uncharismatically poor this season but this does not mean that they will be easy beats for the Warriors, just remember it took a Golden Point try by Roger Tuivasa-Sheck for the Warriors to defeat them in Round 5 earlier this season. The Warriors need to be prepared for a tough physical battle in the forwards and need to bring the same defensive mindset from the past fortnight if they are to come away with the victory. I'm expecting a Warriors win here but I don’t see it being a blowout like the past two rounds and the Warriors will win by around 10 points. What are your thoughts on this performance? 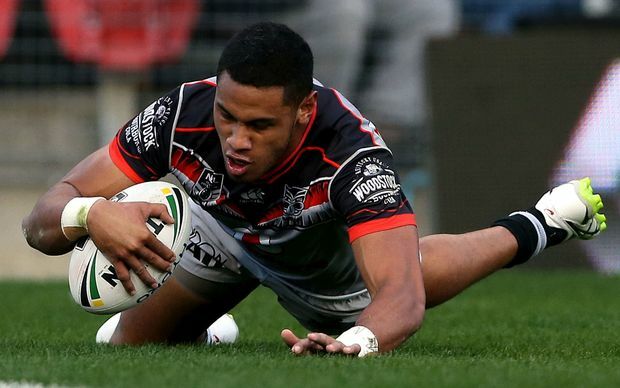 Is David Fusitu’a going to be the Warriors new Beast? How do you see this weeks game going, A Warriors blowout, close win or a loss?